New IRS regulations for 501(c)(4) groups may damage the ability of everyday Americans to have an impact on the political process. If you’re concerned about “dark money” in politics and the tsunami of cash from the super-wealthy and corporations pouring into the political system, or if you were outraged by the recent “scandal” involving the IRS’s clumsy assessment of 501(c)(4) groups, your ears probably perked up when you heard that the Internal Revenue Service has issued draft regulations to “provide clarity” to the rules that govern so-called “social welfare” organizations. Yet the new regs will do almost nothing to fix the things you think are broken and may, in fact, do some real damage to the ability of everyday Americans to have an impact on the political process. The proposed rules cover 501(c)(4) groups, named for the section of the tax code that governs them. Although this is the segment of the nonprofit world best known for notorious organizations like Karl Rove’s Crossroads GPS, it is actually made up of over 86,000 mostly small organizations nationwide, some of which are almost certainly active participants in your own community’s civic life. They weren’t invented in the last election cycle; they’ve been around for generations. Their purpose isn’t to hide donors but to advance policies. The big, famous guys and the shady newcomers get all the attention, but they aren’t typical of the sector, any more than Lady Gaga and Justin Bieber reflect the experience of the bulk of the people making a living in the music industry. These groups are involved in elections because it’s often impossible to advance a policy cause without being involved in the political process. For that reason, in 1959 the IRS promulgated rules that said that (c)(4)s can involve themselves in electoral politics, but that partisan activity cannot be their “primary purpose.” Unfortunately, the IRS neglected to define what it meant by “primary,” presumably some percentage of an organization’s total budget. That kind of ambiguity was fine for a long time, because almost all (c)(4)s were only allowed to communicate messages about candidates to their own members, and many were engaged principally in nonpartisan election activity like get-out-the-vote and voter registration drives anyway. Then, in 2010, the Supreme Court decided the Citizens United case, and the game changed. Citizens United allowed corporations to spend unlimited amounts in support of, or opposition to, candidates in elections. Most people don’t realize it, but nonprofit groups are corporations, so the new rules also applied to them. Suddenly, the well-worn vagueness of the “primary purpose” test, combined with the fact that (c)(4)s, like all non-political nonprofits, don’t have to publically disclose the names of their donors, made them a perfect vehicle for those looking for a way to inject massive amounts of anonymous money into elections. It’s no surprise that the IRS is trying to restore order to this previously sleepy corner of the tax code—and to respond to attacks from both the left, right and center—but the suggested regulations (which are open to public comment until February 27) are frankly befuddling. They don’t have much, if anything, to do with the controversial actions of the host of well-funded new (c)(4)s that have popped up post–Citizens United, but they do take a big bite out of the work of the long-established smaller ones. Just like now, under the new rules candidate-related spending would not be allowed to be the primary purpose of an organization. But unlike the old definition, this one throws a lot of new things into the candidate-related pot that were previously considered social welfare work or nonpartisan political activity. The IRS now says that any (c)(4) that acts in any way within the context of the electoral process is by definition engaged in candidate-related activity, even if the work is not aimed at supporting or opposing any specific person. The effect will be to discourage get-out-the-vote efforts, candidate scorecards or voter registration work. Groups would be significantly constrained from doing work around issues or pending votes in Congress in the period leading up to elections if their advocacy work mentions anyone running for political office—which in the case of the House of Representatives, for instance, is virtually everyone. Why should public debate about issues be constrained just because a bill is scheduled for a vote near election time? If you’re worried about “dark” money and a lack of disclosure of donors, there is nothing in the regs about where the money for (c)(4)s comes from, and they don’t require any new level of disclosure. If the money was “dark” before, it will continue to be “dark” after. In order to stay on the right side of the tax code, a social welfare group’s “primary purpose” has to be social welfare, and not electoral politics. The new regs contain no new guidance at all about what constitutes an organization’s “primary purpose.” (Admittedly, the IRS is asking for open-ended input about the issue, but makes no proposal of its own, leaving its track record of ambiguity perfectly intact.) If the new rules are enacted without a resolution to this core issue, IRS examiners will still have nothing concrete to go on when assessing new applications and established groups will still not know how to comply with the rules. So if you think the IRS proposal will solve the problem of IRS “bias” or help clarify who is cheating and who isn’t, once again you will be sorely disappointed. The big “dark money” groups everyone is worried about are like opportunistic parasites seeking a vulnerable host. Once the (c)(4) category is exposed to “reforms” and no longer of use, they’ll just jump to new categories, like trade associations or limited liability corporations. In fact, they’re already on the way out the door. Unfortunately, the new rules, designed to deal with the now-notorious troublemakers, will still be there long after they’ve gone, hurting no one but the smaller, law-abiding groups left behind. 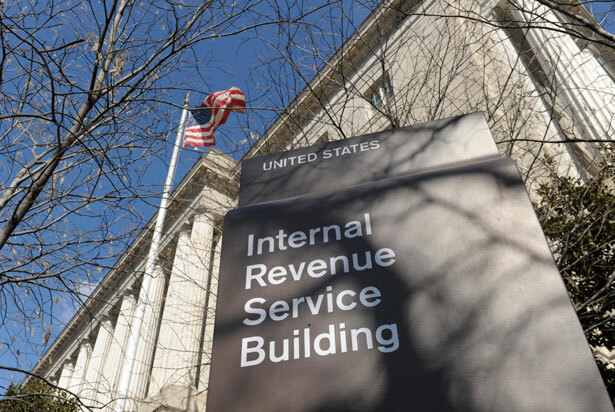 So if the IRS proposal is flawed, what’s the solution? The answer depends on what you think the problem is. The attention being paid to (c)(4) groups is rooted in concerns that the social welfare category has been hijacked by a relative handful of very wealthy donors. Let’s be candid, if the same hundreds of millions of dollars spent in the last election came from a massive number of $100 donations, we wouldn’t be having this conversation. One can read the IRS proposal as a back-door way of making the (c)(4) category such an untenable vehicle for political work that those very big donors and corporations seeking political involvement would be forced into entities where disclosure requirements are more rigorous. But if disclosure is really the underlying issue then let’s deal with that instead of taking down an infrastructure of policy and political involvement that is an essential component of our democracy. One possible approach is for Congress to establish rules for meaningful disclosure that capture only the biggest donors and those with explicit electoral goals, but avoids exposing everyday people. There may also be value in distinguishing between groups that have broad support from many people, including many small contributors, and those that are set up for the use of a tiny handful of very big donors. The sooner we acknowledge the real motivation behind the IRS proposal, the sooner we can create meaningful solutions that actually address the real issue and don’t inadvertently take down small nonprofits and groups with a strong civic-engagement mission whose role is central to our democratic system.